There are 6 currentrly listings that match your search criteria. 200 meters on side road just off Highway 1317. 23 km to Chiang Mai International Airport. Total 7 buildings plus 3 covered work areas. Total built in around 1700 square meters. 2 full glass large showrooms, 1 large office with reception area, 3 executive rooms, 2 large warehouses, 1 large factory, staff kitchen, dining area plus toilets and maid quarters. Showrooms and offices fully air conditioned. 40 ft container access, 3 phase 30 amps power supply. 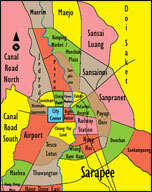 The factory site is situated on the Chiang Mai ‐ San Kamphaeng road which is part of Chiang Mai province. The property is conveniently located between the Third Ring Road and San Kamphaeng village. The entrance of the factory is only 100 meters from the road no. 1006, a two-way provincial road. To access the site, just drive for 30 minutes or 15 kilometers from downtown Chiang Mai and Chiang Mai international airport is located 30 minutes or 17 kilometers from San Kamphaeng district. SITE PHYSICAL CONDITION The factory has been constructed on a 1‐rai, 1-ngan and 3-Wha (2,012 Sqm.) piece of land and using area 1,260 Sqm. The whole plot is registered at one title deed (=official land-ownership document from the Thailand government), which is therefore easy to transfer at the San Kamphaeng land department to a possible new owner. The property has a square shape, can be easily accessed, is only 100 meters from the main road and therefore perfect for delivery of supplies and transportation of the ready-made products. 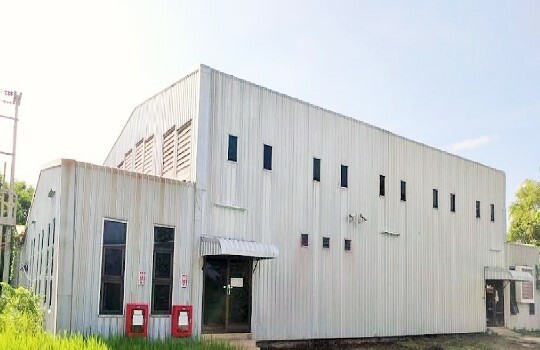 The site is also connected to the electricity supply from the PEA (=Provincial Electricity Authority) and has its own dedicated transformer, to supply a balanced electricity output to the factory machinery, controlled by the MDB-system (=Main-distribution board). 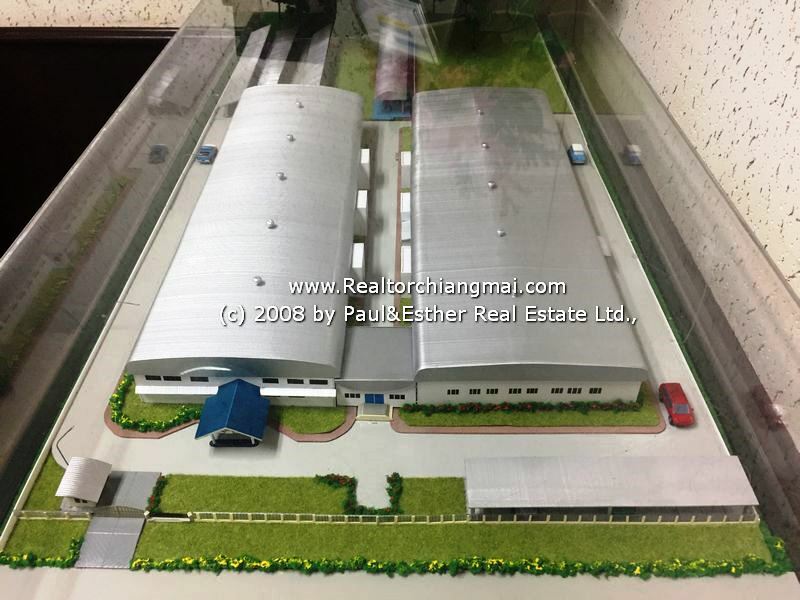 FS001- Factory for sale in Sankapang area Chiangmai Thailand. The factory for sale in Chiangmai Thailand. 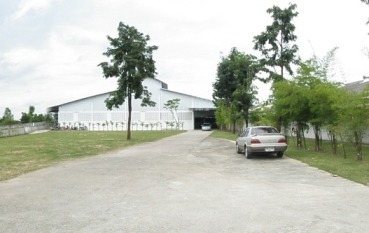 FS003- Factory for sale in Sankapang area Chiangmai Thailand. FS1002- Factory for Sale in Lamphun Thailand.